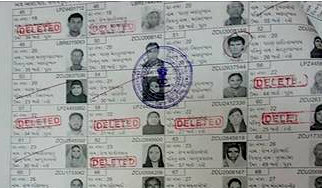 Wanting the SEC to publicly “apologize” for the inconvenience this may cause to voters who will have to take special leave for voting from their routine schedule during working days, PUCL’s Ahmedabad convener Jatin Sheth said in a letter to SEC chairman Varesh Sinha that he, like thousands of others, was victim of the mess created by the election machinery on the polling date, November 22. “The worst experience of Digital India and the so-called Gujarat development model”, said Sheth. This came when he tried to submit his feedback/complaint to http://sec.gujarat.gov.in/Default.aspx.